by Josep Lluís Mateo, Key Media S.L. Barcelona, 2013. 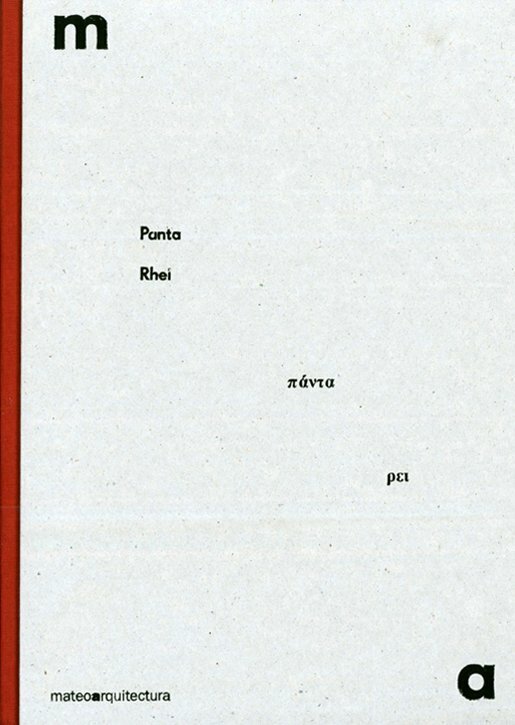 Catalogue of the exhibition Panta Rhei hosted by the Galerie d’Architecture, 11 Rue des Blancs-Manteaux, Paris, from 19 March to 13 April 2013, which addresses various aspects of the recent work of the European agency mateoarquitectura. The exhibition brings together a broad selection of materials related to aspects of its present-day praxis, characterized by the multiplicity of settings where the project is to take root and the ongoing tension between idea and matter as a support for form.